The lunch they deliver was quite healthy and the savoury waffle was quite a novelty. 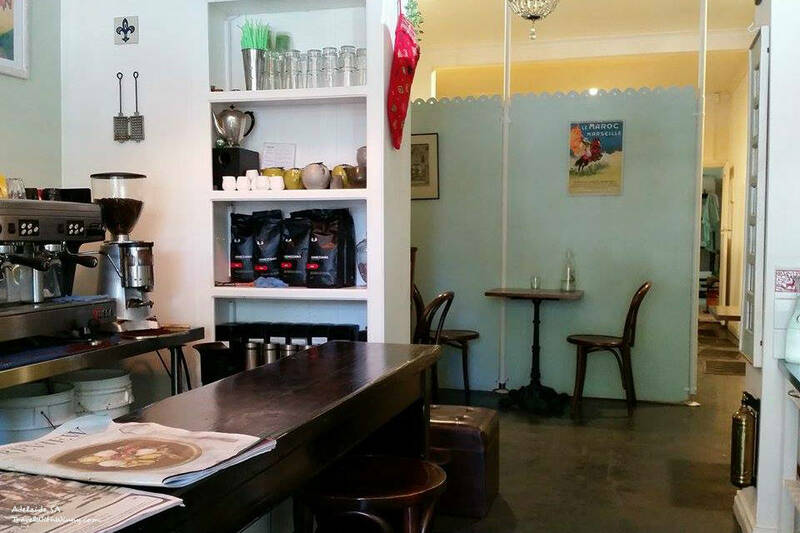 Remy and Violette is a new café on Hutt Street. The place is quite small with a hand full of tables inside and two outside table. The décor is quite cute with a cosy French café feel. 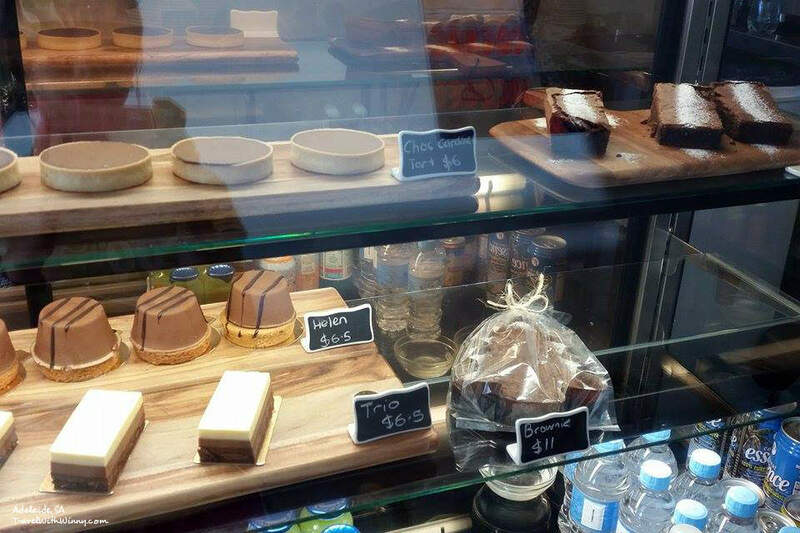 This Café has a selection of small desserts such as cakes, tarts and brownies. Most customers in the store were having coffee with a desert and happy chatting away in the cosy café. There were only a hand full of lunch selection on the board to choose from, two lunch specials and three sandwiches to be exact. 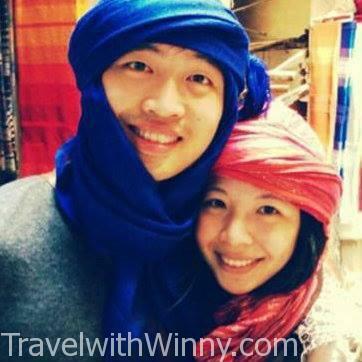 We came at 2pm and specifically came for their savoury herb waffle which Winny saw on their Facebook page. There was only one other lunch specials to choose from however that option has already been sold out. I was then to choose one of the two sandwiches which were available still and settled with a turkey breast sandwich. We also ordered two coffees, one chai latte and one Cappuccino. Winny and I were both quite impressed with the quality of the coffee. Definitely one of the better ones we have had in the past few cafes that we have been to. 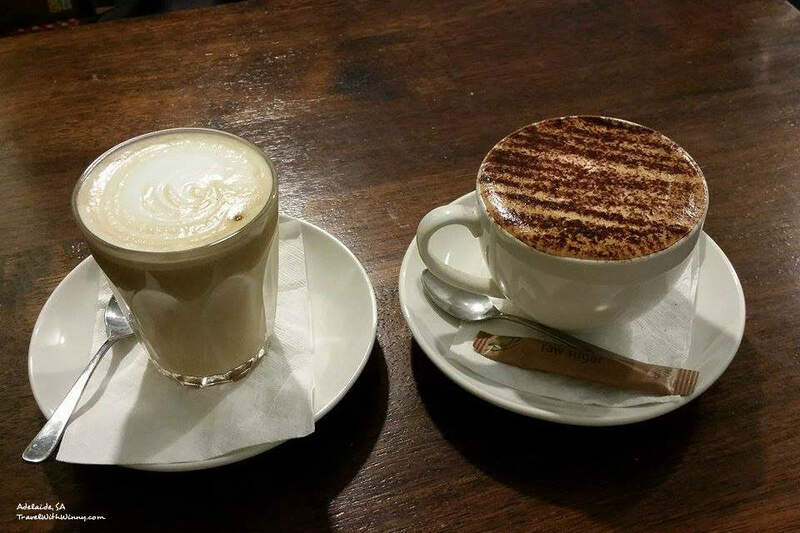 The chai latte was milky and full of chai taste and the Cappuccino has a very good coffee aroma flowing through. The savoury herb waffle was interesting. 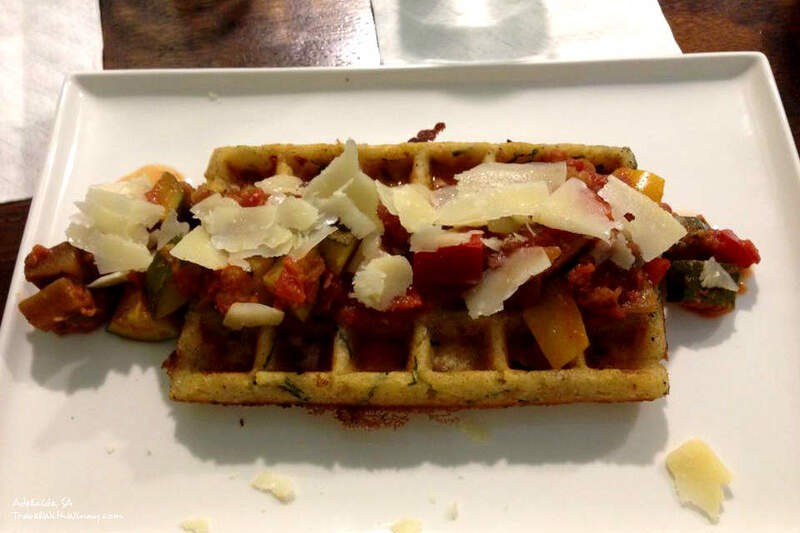 The waffle was topped with tomato, eggplant, capsicum Provencale with parmesan cheese. It was like eating a pizza, pasta and waffle at the same time. The waffle was soft and pastry like, slightly soggy under all the Provençal sauce. The topping was like a tomato based pasta sauce. Overall the novelty dish was nice but wasn’t as awesome of a dish as we think it was. The turkey breast sandwich was quite a simple one. 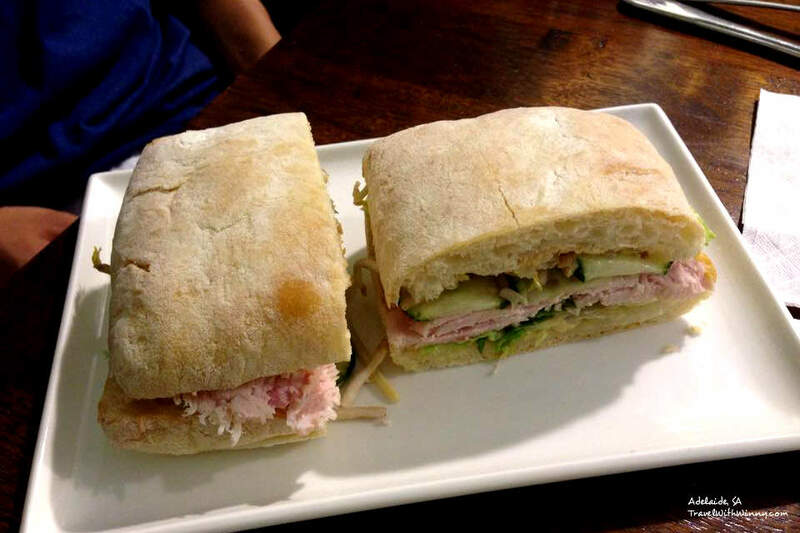 The bread they use are like Turkish bread and it holds the content of the sandwich quite well. The bread didn’t get soggy with the sauce. The Turkey breast was tender soft and quite plain. Included in the sandwich was some lettuce, cucumber and bean sprout. The whole thing was flavoured with some Japanese house made mayo which was a little tangy in flavour but was the main flavour of the sandwich. It wasn’t an overly flavourful sandwich but it was fresh and healthy. We came to Remy & Violette hoping to try their “Savoury Spinach Waffle with Spicy Beans” after seeing the photos on Facebook, however it wasn’t available on the day and Winny was quite disappointed. Overall the quality is good.